in•clu•sion \in-ˈklü-zhən\ noun. 1) the belief that all kids can belong and participate 2) the act of making sure that no child sits on the sidelines. Every child deserves a great summer! 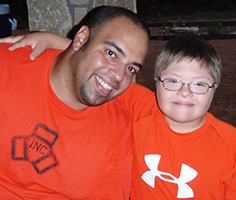 Camp Fire Camp El Tesoro includes up to three campers per week with mild intellectual or developmental disabilities. 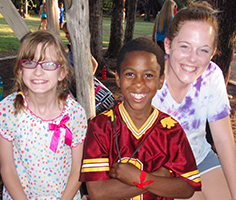 Children with disabilities are included in cabin groups and camp activities. Though our entire program staff is trained to support students with a mental, social, or health concern, please keep in mind that Camp El Tesoro does not provide specialized, one-on-one care for any individual camper. 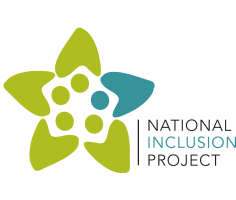 The Inclusion Program is designed to work for each child individually. In collaboration with parents/guardians, individualized plans for each child enrolled in the Inclusion Program are put together to address each child's specific needs. These needs and the accompanying plan are based on supplemental information provided by the parents/guardians and the camper's school counselor. 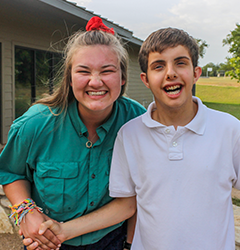 Campers enrolled in our Inclusion Program may be developmentally delayed, physically challenged, have other medical diagnoses that affect development/behavior, or require special medical attention or equipment (Diabetes, breathing apparatus, etc.). Diagnosis can include, but not limited to, Cerebral Palsy, Down Syndrome, Autism Spectrum Disorders, ADHD, PTSD or intellectual disabilities. Enrollment of children is determined on an individual basis. El Tesoro has compiled a list of essential eligibility requirements, which are designed to ensure a safe and meaningful experience for all campers. Campers who meet these requirements are welcome at camp. If a camper does not meet an essential eligibility requirement, a further discussion with camp staff must take place prior to enrolling at camp, in order to ensure that the staff can meet the camper's needs and that the camper can have a successful camp experience. Complete the online session registration (see the current camp offerings) PLUS online Supplemental Registration Form. Contact us or call 817.831.2111 to discuss your child's specific needs. Looking for a more specialized camp?